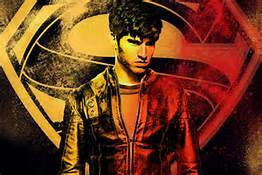 Following Seg-El (Cameron Cuffe) and Adam Strange (Shaun Sipos) finding evidence that Braniac has indeed invaded Krypton, Val El, Seg-El’s holographic grandfather, tells them that the probe has already hijacked a host. Enemy reconnaissance may already be underway. That host turns out to be Seg’s friend, Rham (Alexis Rebab). Meanwhile, the Sagitari are launching a full scale attack on Sector 19 to force out the Black Zero terrorists. Lyta-Zod (Georgina Campbell), now leader of the squadron and still seeing Seg-El on the side despite his being married, has urged taking a more patient approach than her predecessor. However a trigger happy Sagitari, Kol-Da, spills innocent blood and Lyta has her arrested. By this time, Rhom has gone full Braniac, and started killing innocents on Krypton. Seg -El confronts Rhom, trying to reason with her and remind her of their friendship. However, Rhom is gone and Brainiac uses a massive and convenient overhead cable to strangle Seg-El. Only by detonating a stun gun can Seg-El escape and paralyze Rhom. The damage is already done; Rhom is left fatally ill from the experience and Braniac already has the data he seeks. The show continues to move at a brisk pace while keeping some of its longer played out secrets close to the vest. Superman fans will continue to tune in and watch, and the show has been a somewhat decent size hit for Syfy, However, it isn’t bringing in many new viewers. A lot of the show’s Easter Eggs are potentially flying over the casual viewers’ heads, and only landing with the die-hards. While Syfy may only care about keeping those fans instead of bringing in new ones, Krypton continues to be one of the pleasant surprises of the Spring TV season.